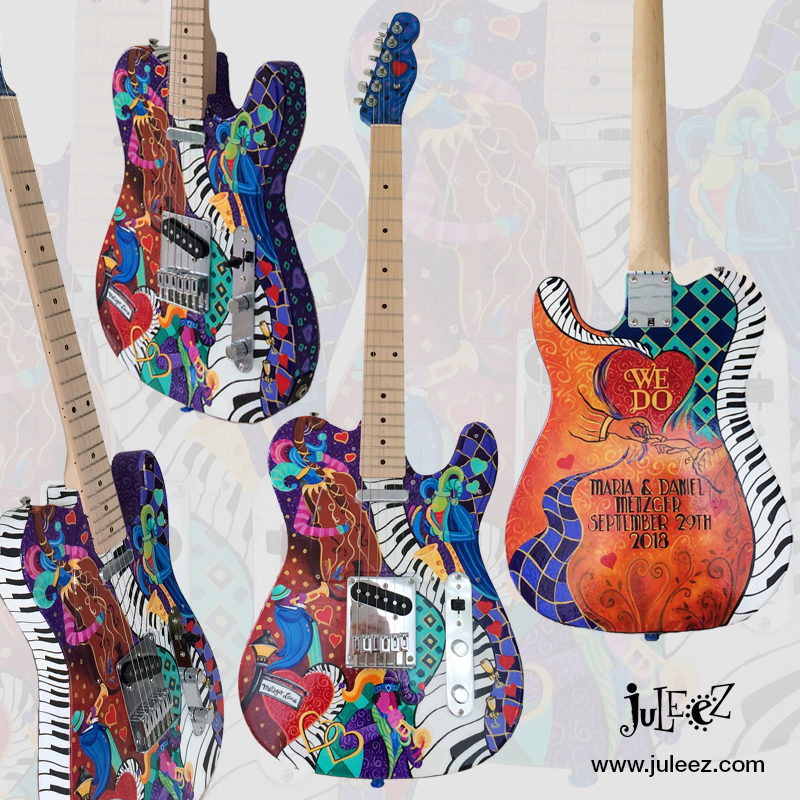 Juleez is pleased to offer Custom Designed and Hand Painted Guitars, Pickguards and Guitar Bodies by artist Julie Borden, the most recognized artist in creating hand painted musical instruments. 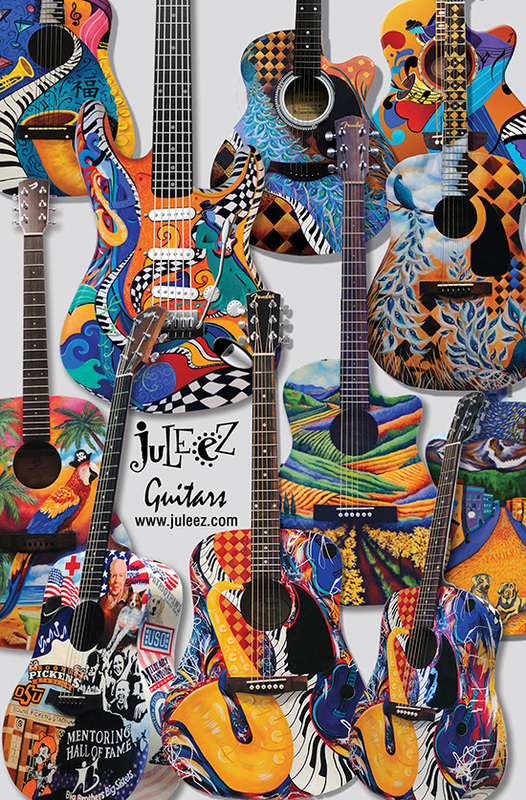 All of Juleez custom musical instruments may be ordered with your choice of designs, colors and themes. 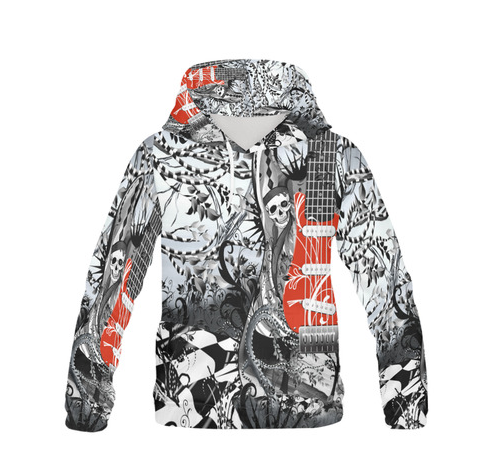 Shop the Guitar Collection for some of my favorite designs in the online store, or contact me to design a custom guitar. 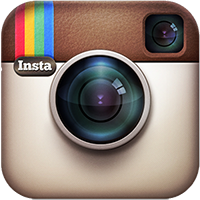 Each piece is created at the time or order, unless noted it is in stock. 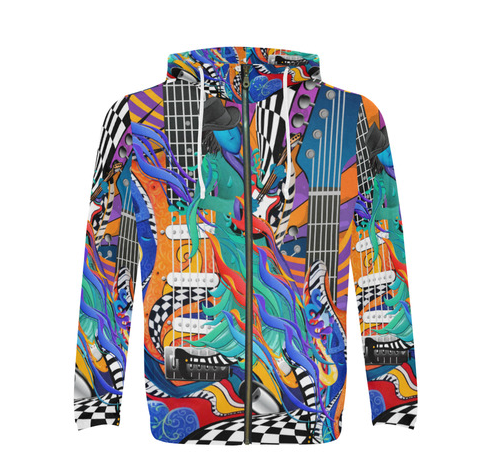 I also offer painting of your guitar too. 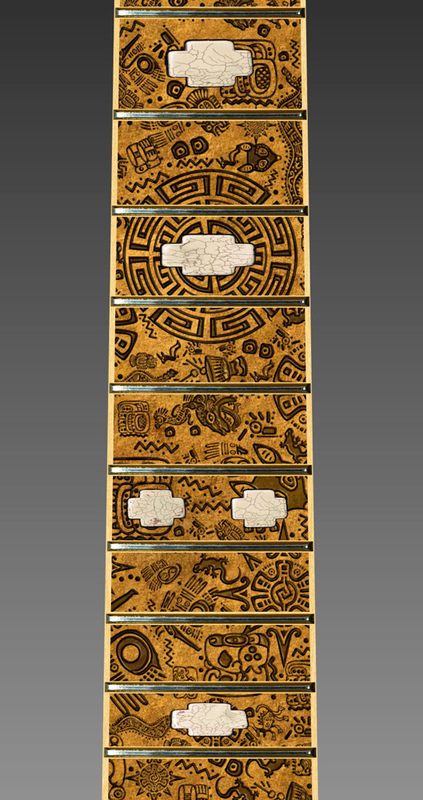 Just ship me the guitar or guitar body, and I'll create a unique guitar just for you. A small selection of guitars are shown below. Contact me for a specific brand or supply your own to be painted. Send me your idea or pick some from my gallery to get your quote today. Each instrument is finished with several coats of protective high gloss. 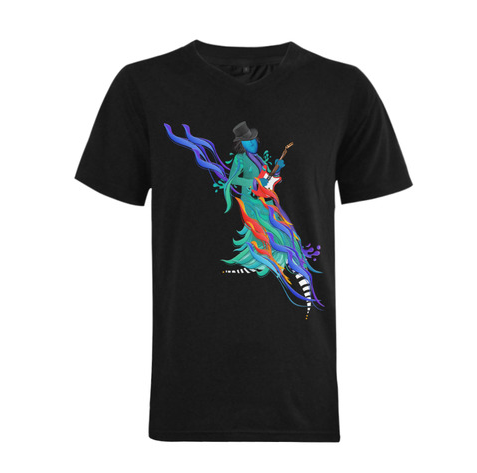 Each piece is unique and one of a kind. 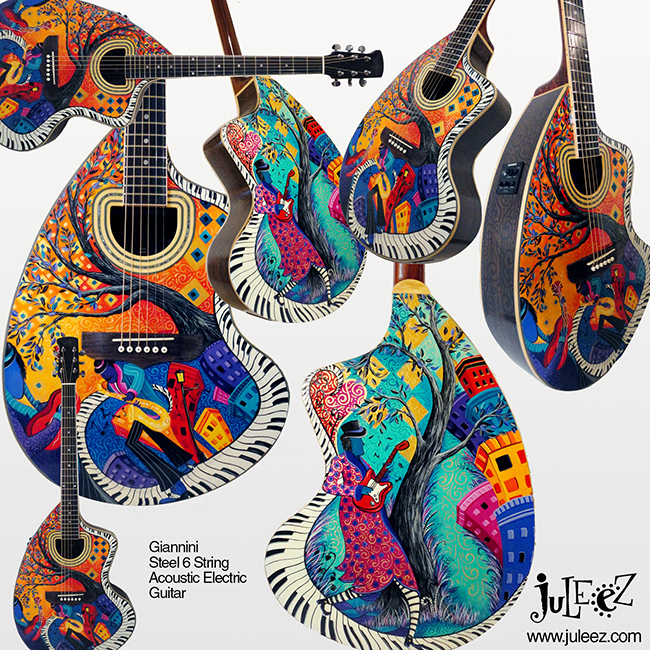 These fun and spirited musical instruments make a great statement for any musician, collector, performance or music room. 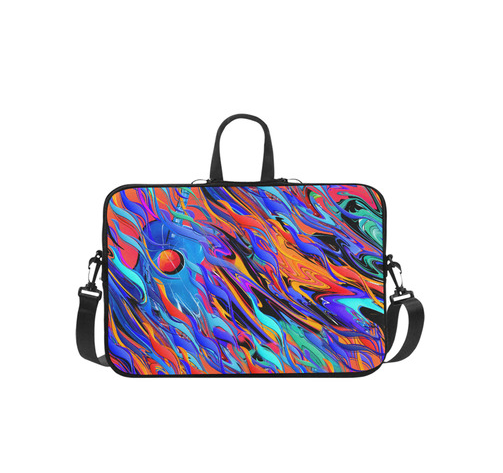 Please allow 14-21 days to receive your custom painted musical work of art, or inquire what is in stock. 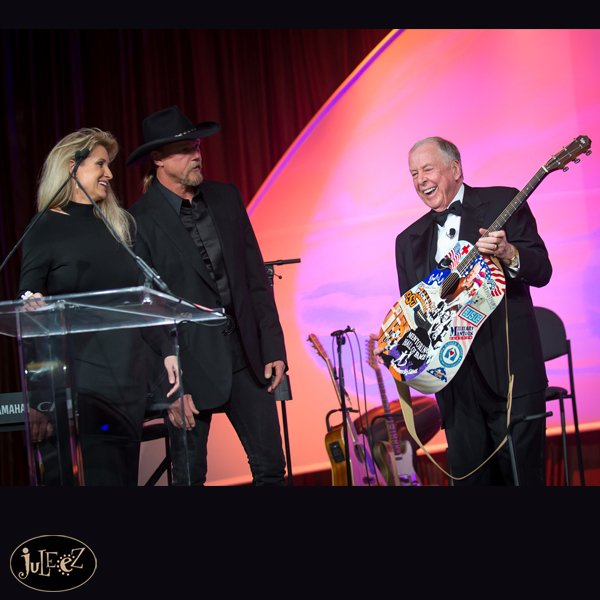 For a specific brand, make or model please inquire or you may also supply your own guitar to be painted. 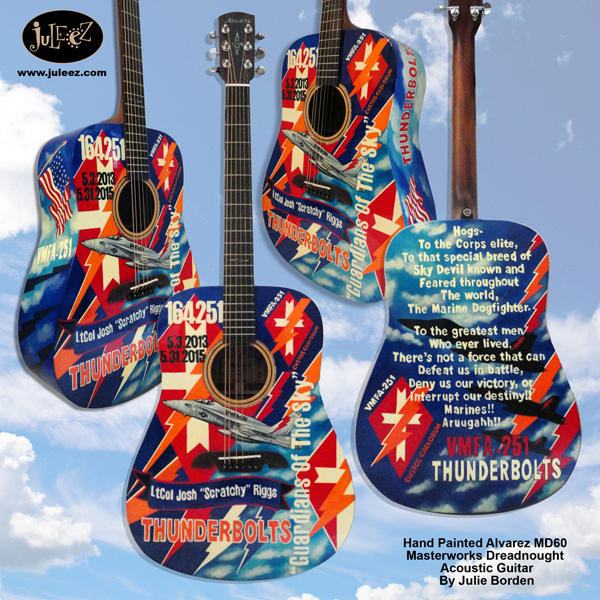 Custom Painted Alvarez Dreadnought Acoustic Electric Guitar. Alvarez Artist Series AD60CE Dreadnought Acoustic-Electric Guitar. any design. 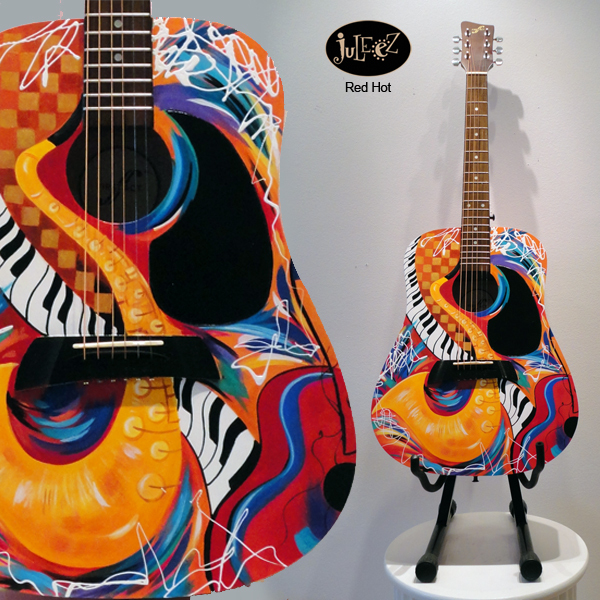 Paint My Acoustic Guitar. Ship Your Guitar To Me. Custom Painted by Juleez. 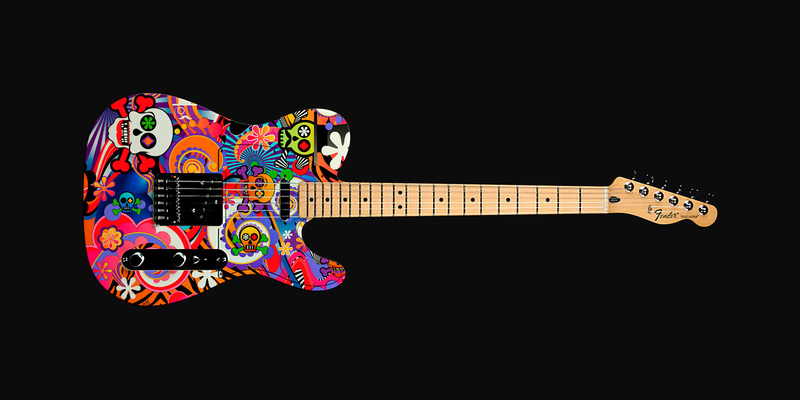 Paint My Electric Guitar. Ship Your Guitar To Me. Custom Painted by Juleez.